The Status Sentinel®16 may be paired with the Relay Sentinel®16 to form a “16 channel Relay Extension Cord”. • Logging of all input status, along with the site ID may be emailed in time spans from once an hour to once a day. • Plug-in euro-block screw terminals for all status inputs. • Seventeen activity LED indicators. 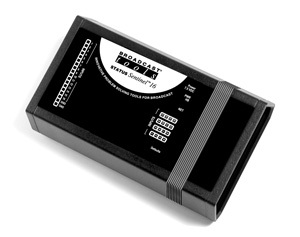 • PPM Monitoring and alarm logging. • Web-enabled networked message board controller. • Input end of a web-enabled relay extension cord.